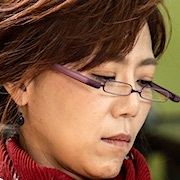 "Fates & Furies" takes over the SBS Saturdays 20:45 time slot previously occupied by "Ms. Ma, Nemesis." Ep.9-12 did not air on Saturday, December 15, 2018 due to airing of a soccer game between Vietnam and Malaysia. Ep.9-12 will air Saturday, December 22, 2018. NR denotes not ranked within the Top 20 TV programs (including news, sports, variety, etc.) for that specific day according to AGB Nielson. thornnnn Mar 28 2019 9:08 am one of the best drama's i've seen in a while. I binge watched this over a few days. Great Kdrama. B. Carter Feb 28 2019 4:30 am This was another great drama and I'm sad to see it go. Great performances especially by Shim Yi-Young, Kong Jung-Hwan, Song Ok-Suk and So E-Hyun. I cried when Goo Hyun-Joo and Goo Hae-Ra saw each other at the hospital. They built up to that reunion very well and I'm so glad they didn't let Hyun-Joo die in a coma. Like others mentioned, it hurt my feelings that they let Ko A-Jung be the one who attempted to kill Hyun-Joo. 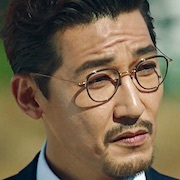 Early on, I really thought A-Jung and Hae-Ra were going to team up... especially after all A-jung went through in that family... that's the only thing I didn't like but I guess they wanted to show that being in a toxic environment like that can make you desperate and desperate people do awful things. 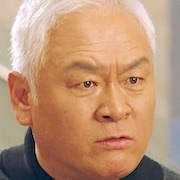 Side note: I would've loved to see Hae-Ra slap the taste out of Cha Soo-Hyun's mouth just once. 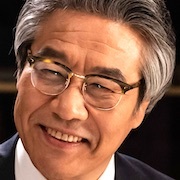 Shawn Feb 19 2019 3:57 pm So E Hyun (Cha Soo Hyun) was magnificent!! She stole the show for me personally, but everyone did a great job. She was just phenomenal!! I will definitely check out more of her work!!! 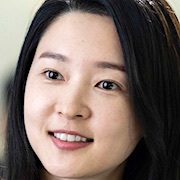 I would've loved to see a few more episodes showing Cha Soo Hyun coming out to the world that she was a mother and that she was ill because she gave up a kidney to her daughter. To hell with her mom and reputation. I'm also glad Ui Gun and Jung Min ended up married in the end. Would've love to see more of their story as well. I wasn't as annoyed with the main characters as some fans, but did find some parts of their plot slow. I thought Lee Min Jung did a good portrayal, though, as well as Joo Sang Wook!! I would recommend this drama. It was a good mystery. PS: I wished Ah Jung's story had ended differently. I felt that was unnecessary and they should've just left it with her husband being the one that attempted murder. She seemed like she was innocent in all of this and was an ally in the end, but like most others in that family she was motivated by selfishness and greed. Steve Feb 11 2019 1:27 am Just got thru ep 32. I don't think Haera is stupid. She just got manipulated by someone disgustingly evil, the mastermind behind the business takeover that won't let anything or anyone get in her or her son's way and will do anything necessary, including murder. I googled the writer out of curiosity. Seems this is his first drama(? ), at least no other credits. Must have some serious backing to get these stars. He must've been seriously taken advantage of in real life to create such evil characters. The one thing that's always lacking in these vengeance dramas is the satisfaction that the evil doers get what they deserve. Already, 32 episodes of torture and only 8 episodes left for the punishment. Hiromi Feb 10 2019 8:44 am I started watching it because the leads are the same from Cunning Single Lady which is really good but I just ended up fast forwarding their scenes mid part of the story. The plot is just so messed up. Was only watching this till the very end for Cha Soo Yoon and Jin Tae Oh's little family story with their daughter Jennie. Their story is even better and interesting. sarah Feb 02 2019 8:05 pm This drama from the start has got me edging closer to the end of my seat and i dont mean it in a good way, i meant getting closer to switch the TV off! Main characters are pathetically simpleminded and the sub characters are moving to top spot. It took 16 hair pulling episodes to get into a real drama series with a purpose of revenge, redemption and deceit. 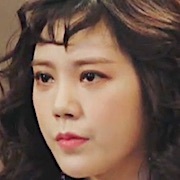 Really enjoyed episode 17 and 18.
fembot Feb 01 2019 6:20 am As the drama goes on, Goo Haera just ends up as one of those pathetic annoying female leads that u just don't root for in kdrama. And LMJ unsatisfactory performance this time doesn't help that either. Maybe romcoms are more her thing than heavy dramatic ones. I ended up liking Soohyun though, she's smart and elegant. Her angsty backstory with Jennie and Taeoh is interesting and So Yi Hyun just plays her so well. California geek Jan 27 2019 10:27 pm This drama is so annoying. That Go Hae Ra is so f**** stupid! Tae In Joon is also stupid! I hate Go Hae Ra character so much! I can’t believe i’m Still watching this...lol! I think she should suffer because of her own stupidity until this drama ends! That would be the perfect scene for her coz she deserves it! On the other hand, I am hoping that she could redeem herself in the next coming episodes. I love this main couple but oh my gosh...the frustration watching this drama is real! Shannah Jan 26 2019 10:59 pm The plot of this story is so flawed and questionable in most parts. But because you are upset about it, you can't help but continue watching it to see how the conflict of the story will be resolved. 1. Ko He Ra, who is supposedly a smart woman, why did she never once ask Tae In Joon directly, about his supposed relationship with her sister? Why did she conclude that he was indeed the culprit? Whatever evidence she had, if indeed she is smart, were insufficient and were not "beyond reasonable doubt". 2. 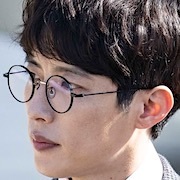 When Ko He Ra later found out that she had made a mistake in making the innocent Tae In Joon suffer, why didn't she just come forward and testify to the police, with some of the evidence that she has to clear In Joon from the crime? But did she not even apologize to In Joon? Her character shift is so abrupt and unbelievable. Why would she listen to the advice of the Busan gangster who had given her the wrong info about her sister's plight in the first place? The plot is infuriating. But I like all the main characters. It's just the plot that frustrates me. Male lead : F**k you world I do not know the meaning of betrayal. saket Jan 25 2019 7:26 am My personal opinion on how to make this show interesting watch it in faster playback speeds 2x or 3x that way you can virtually increase the quality of the show anyways it really made me like this show after watching at faster speeds. Maz Jan 21 2019 11:00 am Love the pairing of Lee Min Jung/Joo Sang Wook again in this drama. The last time they were leads in Cunning Single Lady was awesome too. Faeeqa Jan 13 2019 7:30 pm I’m finding the story and scenes of Soo Hyun and Tae Oh much more interesting than that of Hea Ra and In Joon even though the whole story is intertwined. I’m hoping their story picks up in later episodes as, as of now it’s a little dull and boring. Hui Kaires Jan 13 2019 5:38 pm What is the title of the lovely violin melody played from 35:25 through 37:12 of episode 23? The piece has been featured in several previous episodes, yet the musicians and title are difficult to locate. Thanks to the talented artists and composer, the piece is ?hauntingly beautiful?. Tini Jan 09 2019 4:01 am Love this drama. Wish for happy ending because I hate watching Joo Sang Wook sad ending in Grand Prince. ? 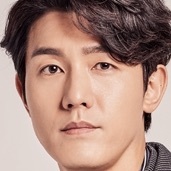 Shawn Jan 07 2019 4:46 am So E-Hyun is amazing as the antagonist. I hate her one moment, then love her and empathize with her in the next moment. Scenes with her and Oh Jin Tae and Jennie are amazing!! Hope to see more of her as a mom and less as a woman desperate for a man who doesn't want her! Also, Lee Min Jung is doing an amazing job as well!! Same goes for Joo Sang-Wook!! I'm also rooting for Jung Min and Ui-Gun!! The plot keeps me invested and guessing what's next!! Very intriguing!! 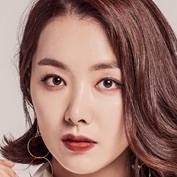 Lovely Corpuz Jan 07 2019 4:40 am So E-hyun is my favorite antagonist as of the moment..Great actress! Lalalove Jan 03 2019 8:04 am What a great story this drama has. I love how Min-Jung portray the character of Hae-ra, it's really convincing. Plus, both leads really have a great chemistry. So far i'm enjoying this drama and i'm really dying in waiting for the next more episodes. sf Dec 30 2018 3:49 am I like this show. Merdewi Dec 23 2018 9:49 am Lee Ming Jung/Goo Hae-Ra is a talented and beautiful actress and pairing with Tae In-Joon/Joo Sang Wook is an excellent choice. Both are great actor and actress. Just love the idea of them falling in love. They look good together and a very touching drama. I can't wait to see what happens next. Xin026 Dec 21 2018 4:19 am @Miro Apparently Ep 9-12 did not air last week due to a soccer match that took place on the Dec 15. Miro Dec 18 2018 8:49 am Does anyone know why episodes 9, 10, 11 and 12 are broadcast until behind per to 14 days? Nuna Dec 17 2018 10:24 pm I like Joo Sang Wook . Someone Dec 15 2018 7:07 pm Where are episode 9 and 10? Carol Dec 15 2018 4:57 pm Nice story, hope it will go smoothly without any hassle, both lead are the best of the best, hope this will get higher ratings unlike CSL which is underrated but a great drama(so unfair) never even regret watching that! JSW & LMJ are my favorite actors, they have a great chemistry together.....FIGHTING!!! Best Couple ! Goldpen Dec 15 2018 2:01 pm Joo Sang-Wook is a great actor. Recently finished watching him in Grand Prince. He delivered an excellent performance as the Greedy "Grand Prince" the equivalent of a runaway freight train bent on a collision course. Judging from the episodes already watched One expects another interesting drama-com. Goldpen Dec 15 2018 1:49 pm This begins quite interestingly. 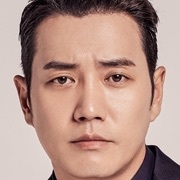 Joo Sang Wook is a great actor. Having enjoyed his work in the "Grand Prince" One expects him to outdo his previous performance. In the episodes currently watching he is already getting a little greedy. Lamore Dec 13 2018 3:06 am Woww the rating show an increasing number..i guess people started to show some attention now ?? Vavava Dec 11 2018 6:54 am Was there dram like this? Heavy roance. Complicated drama ow whealthy family. Like a monster or.. anything suggestion? Help mee... I'em so desperate seek nother drama with this genre. minsu Dec 11 2018 6:18 am ohh love this much. Highly recommended!!! oppah Joo-Sang Wook. All casts are great. I love also the girl Lee Mi-Jung. Yannie Dec 06 2018 9:54 pm They're one of my favorite couple. <3 Really love them! 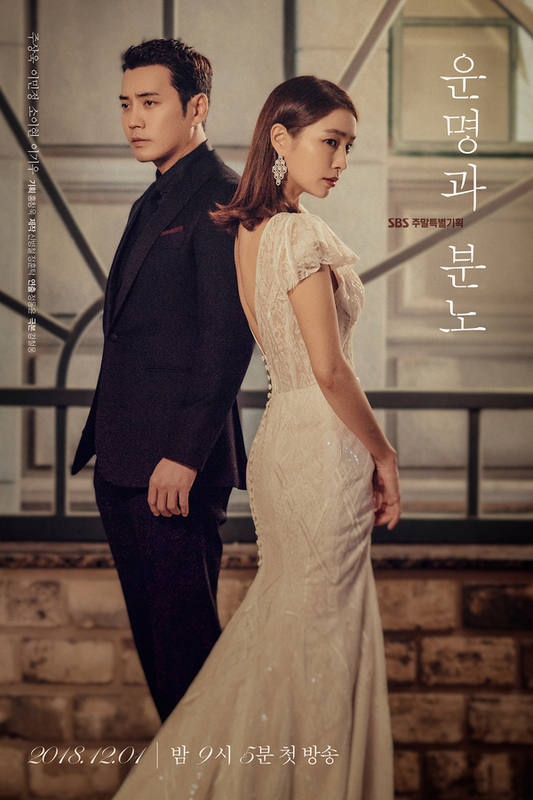 Pia Dec 04 2018 2:27 pm Watched the first 4 Episodes, it is an excellent drama, I highly recommend this, amazing chemistry between the two leads, you will not regret watching this, its daebak. Suzi Nov 19 2018 12:57 pm OMG...I Can't Wait For This Drama To Air. I love Lee Mi-Yoon and Joo Sang-Wook so much from Cunning Single Lady. I'm so happy that they're doing another drama together...I couldn't get over Cunning Single Lady becausethey were such an amazing couple. Just by the teaser i already know its going to be lit...??? Bee Nov 16 2018 9:54 pm I like his acting and beautibul smile. Les Nov 14 2018 3:47 am I love them both! I can't wait to see them in their up coming drama? SuhosWife Nov 13 2018 4:10 am Oh my gosh can’t believe I just found out today they’re going to be acting together again!! Can’t wait!!! Agness Nov 12 2018 4:19 am Woow!! I'm excited to see this couple! Missed them since cunning single lady!! I can't wait to see this drama! Ash Nov 01 2018 6:27 am AHHh excited to see the two leads again! I miss them together in cunning single lady ?? Daeyeol's wife Jul 06 2018 1:12 am After i watched come back mister Lee Min Jung caught my attention ?? looking forward of this drama ?? ?